Picture the Change goes tropical! Me and Cassidy rockin' out at the RHA Luau! 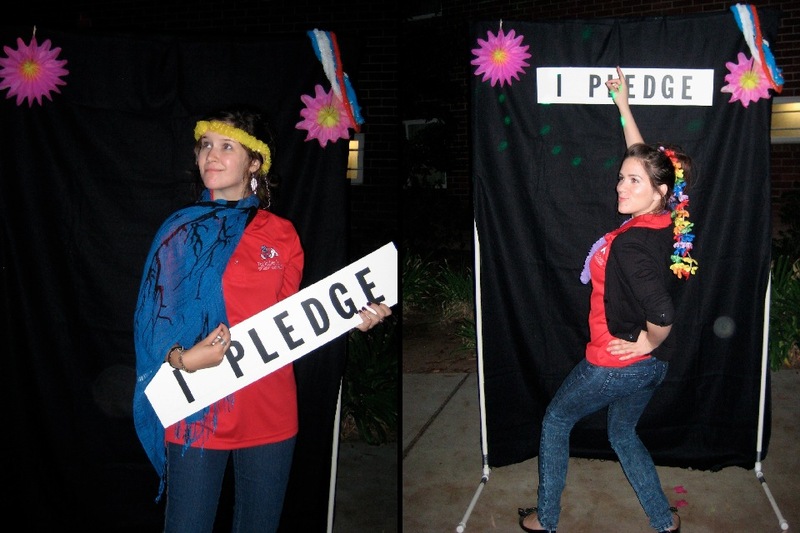 The Ambassadors recently brought the Picture the Change campaign to the Residence Hall Association’s annual luau! It was a truly awesome time filled with dancing, a fantastic DJ, and mocktails compliments of BACCHUS. We even had some dorm residents pause their game of capture-the-flag to make a quick pledge to service! Thanks to everyone who came out and made a pledge, and don’t forget to email us or pop into the Richter Center if you need help completing your pledge! The gallery of pledges can be found here (I especially like how the disco lights are shining over everyone’s faces! ).